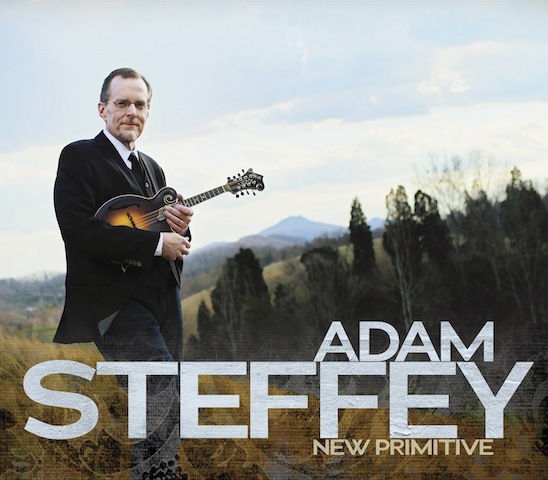 Adam Steffey’s new album is due for release on 18th June 2013 by Organic Records. They describe it as an essential, authentic expression of American roots music. Mandolin master Adam Steffey’s New Primitive is a transformative blend of two unique folk identities. Inspired by his Bluegrass expertise, Steffey combines synchronized Old Time rhythms with refined musicianship to create a work that is ancient and edgy, basic and complex, simple and beautiful, primitive and new. Steffey, arguably the most recorded mandolin player in the past decade or more, has built a career winning awards as part of genre-defying acts like Alison Krauss and Union Station, and he continues to break the mold with this 3rd solo release. The new project coincides with the re-emergence of the unique record label, Organic Records. Returning from its hiatus, Organic Records serves as a professional catalyst for singularly unique releases like Steffey’s New Primitive. This project is something that I have had in the back of my mind for a number of years now. My love of bluegrass music is well documented, but over the past decade or so I have become an avid fan of old-time traditional music. My wife is an accomplished old-time banjo player and is featured on the album. She has steered me toward so many great recordings and players in the genre and it really gave me the vision for this project. I hope that everyone likes the blending of bluegrass influences with the old-time tunes. I’m so glad that I was able to make this album and it was a real joy to record – Adam Steffey. New Primitive comes to life at the skillful musicianship of Steffey along with Tina Steffey on banjo, Zeb Snyder on guitar, Samantha Snyder on fiddle and vocals, Eddie Bond on fiddle, and Barry Bales on bass. The project does not attempt to reintroduce something old as much as express something new yet based in tradition. It offers tracks that range from complex and masterful acoustic instrumental duos to high energy, full band romps that are as exciting as they are stunningly proficient. New Primitive makes a statement: This is roots music destined to be discovered by a new audience.